Vein & Laser Center of New Jersey's Booth At Stillwater Fall Festival! 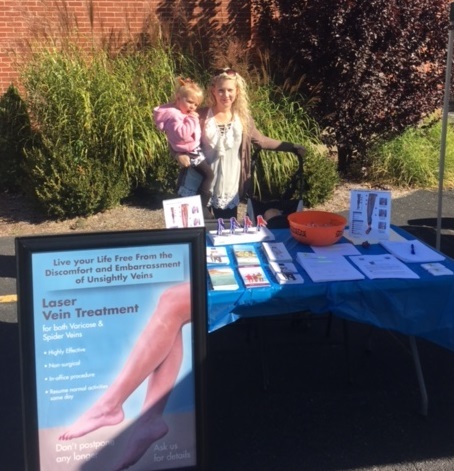 On Saturday, October 15th, our vascular director Ally had the opportunity of setting up and running a booth at the Stillwater Fall Festival at Stillwater Middle School in Stillwater, New Jersey. During her time there, pamphlets detailing venous diseases and chronic venous insufficiency were given out as well as information about our current staff, Dr. Dash, and coupons for free vein screenings.